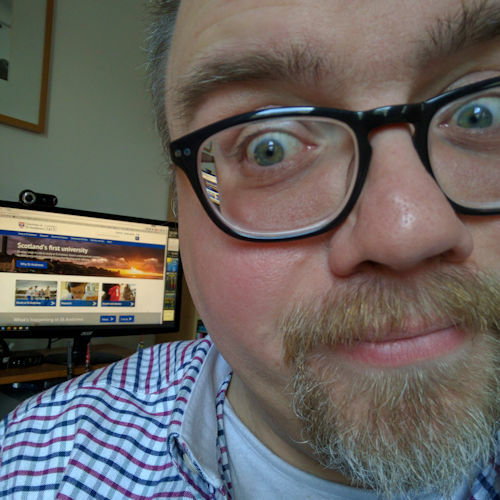 I’m back today from a whirlwind tour of three of my closest friends from National Youth Choir of Great Britain (NYCGB) days to Manchester, Wokingham and London. On Friday morning Danny went off to work while I stayed in to watch some DVDs and get some writing done (I’m trying to write another book, you know). In the general absence of suitable-height tables in his house, I found a tallboy (chest of drawers) that was just right to be used as a standing desk. I got about 1,500 words written, which I was pleased about. On Friday afternoon we drove to Wokingham in Berkshire to stay with Mike and Rachel Jeremiah. How wonderful to see Mike again twice in the same year — I used to live across the road from Mike in 1995 on Camberwell Road, London. Saturday saw us catch a train into London, amongst some very well-dressed boys and girls heading to Ascot. There we were met by the Revd Jonathan Coore and his youngest son (my godson) who took us to see the parish he is now rector of. This was followed by a drink in a café at the Oxo building on the Thames and a walk back to Waterloo to meet up with another NYCGB contact, Julian, for lunch. Then it was back to Wokingham for an excellent home-made curry beneath an electrical storm. We left Wokingham at 08:45 this morning and “Emma” (my CoPilot GPS) guided us back to the M4, A404 (trunk road not found! ), M40 and M6 to allow me to catch my train from Manchester Piccadilly at 14:16. At the station I met a friend, Patrick, from Join Me Edinburgh days which was wonderfully random. 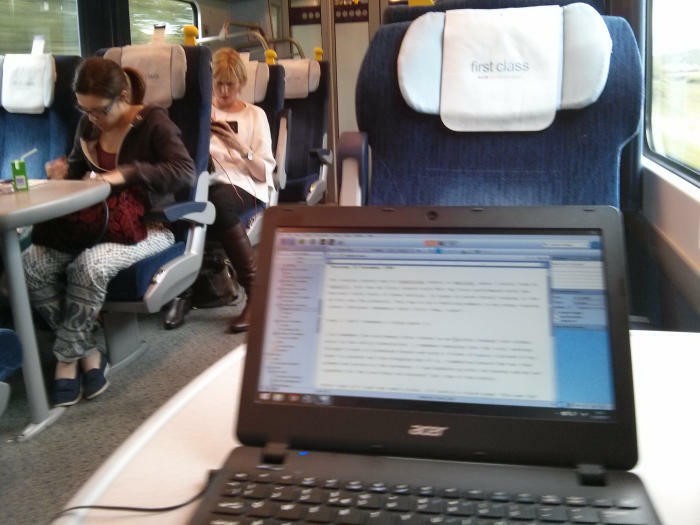 As I’d managed to get a really cheap 1st class ticket I rather enjoyed sitting in relative luxury (well, a seat to myself and as much leg-room as I could eat) and get some more writing done, as well as tuck into a new book about how our minds are organised. All in all, a pretty good few days filled with friends, a little singing and much laughter.